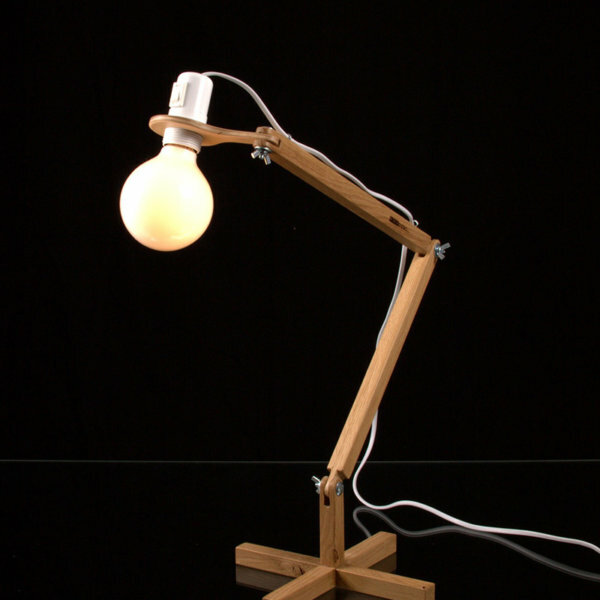 The handmade solid wood table lamp is inspired by the timeless table lamp shape. 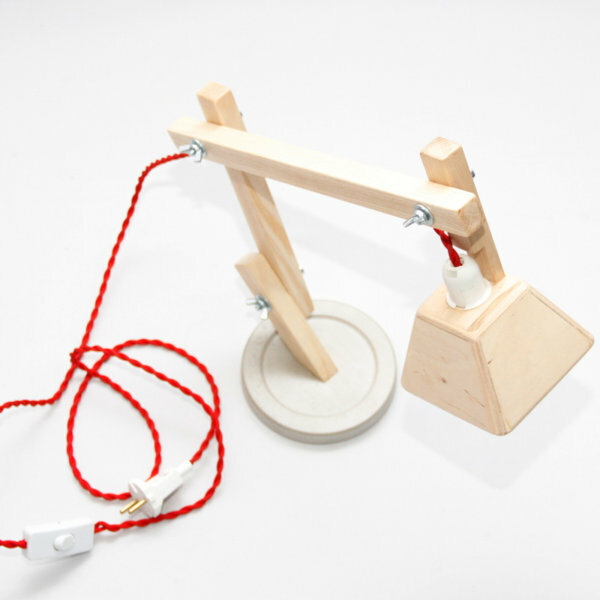 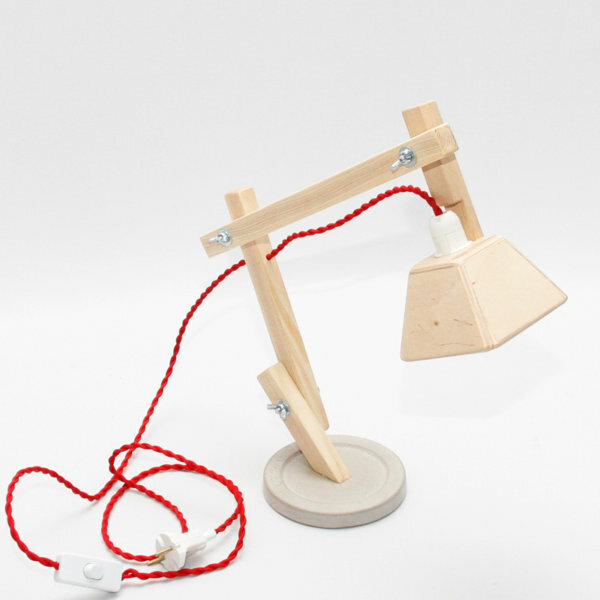 A modern down bridge desk lamp with red fabric cord and concrete base. 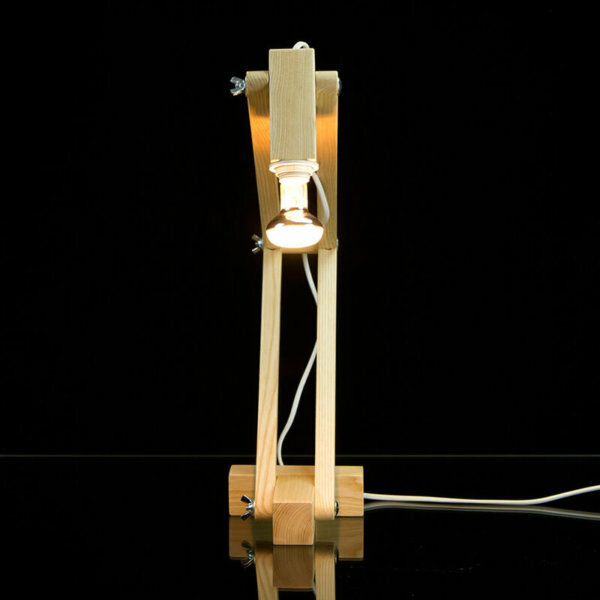 With a directed light and adjustable fitments, the lamp offers excellent usability. 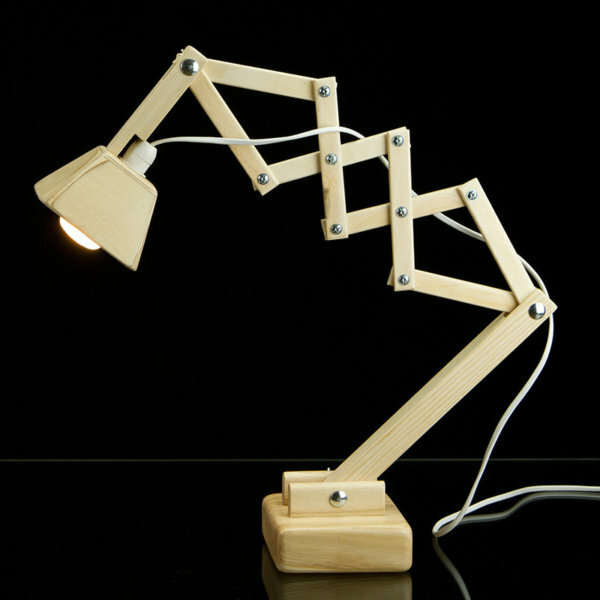 Simplicity is the key to a holistic décor, and the table lamp flaunts the same simplicity with finesse. 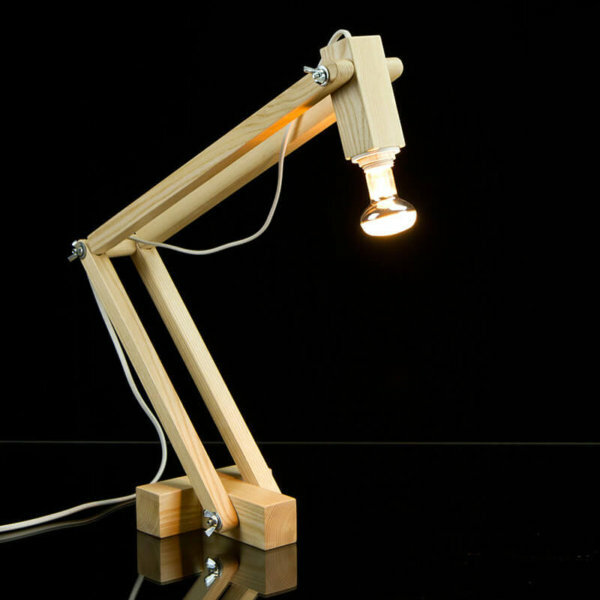 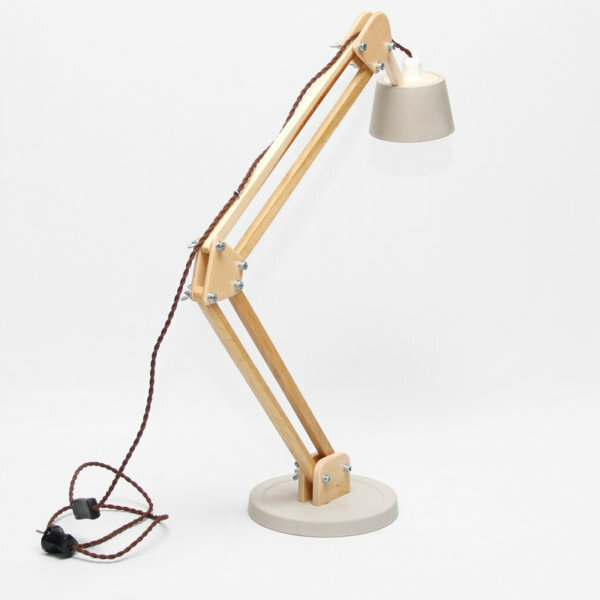 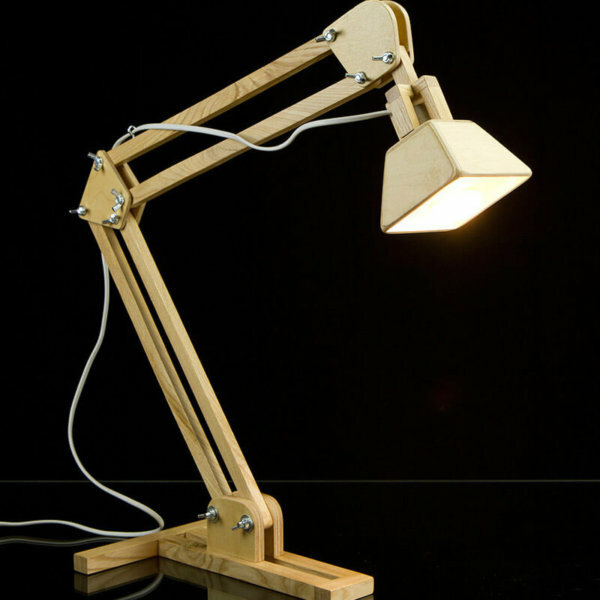 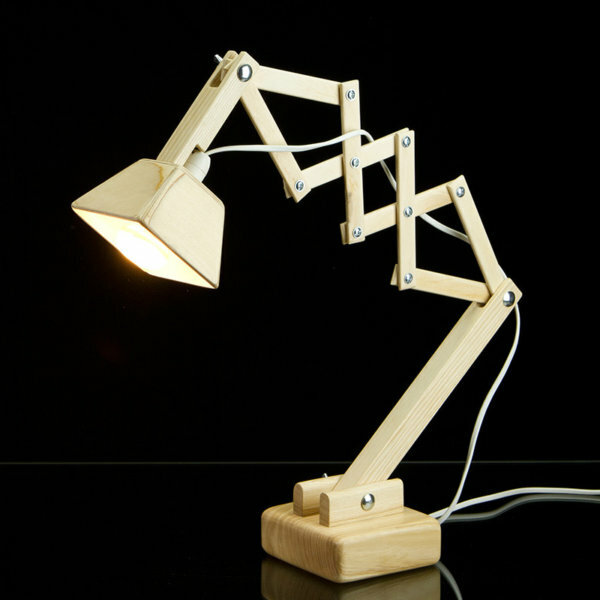 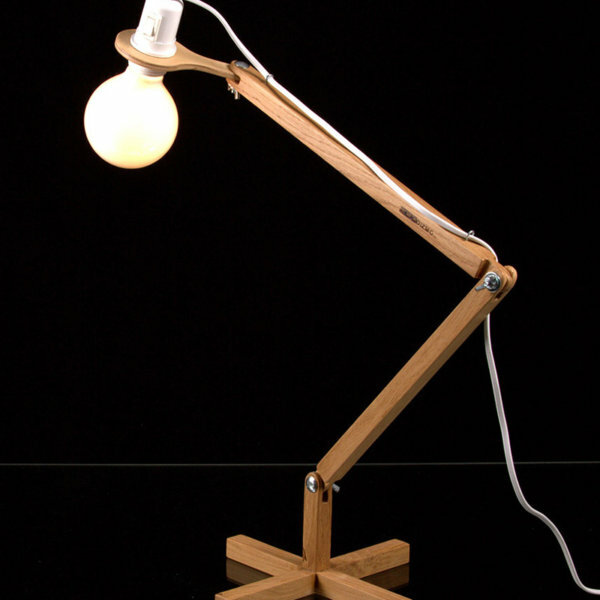 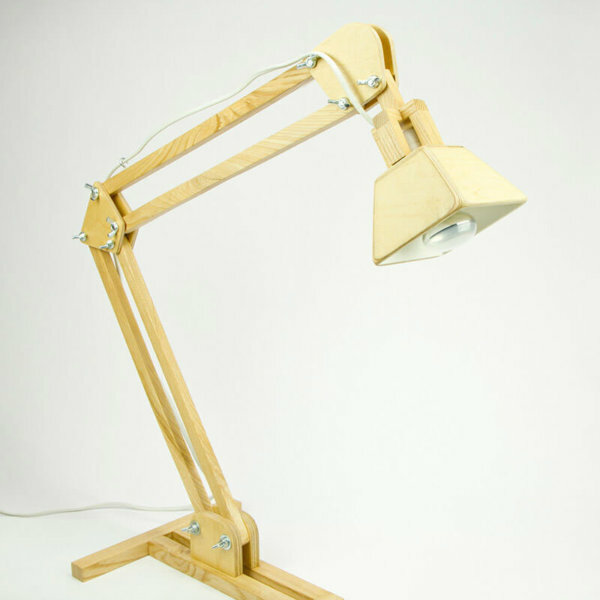 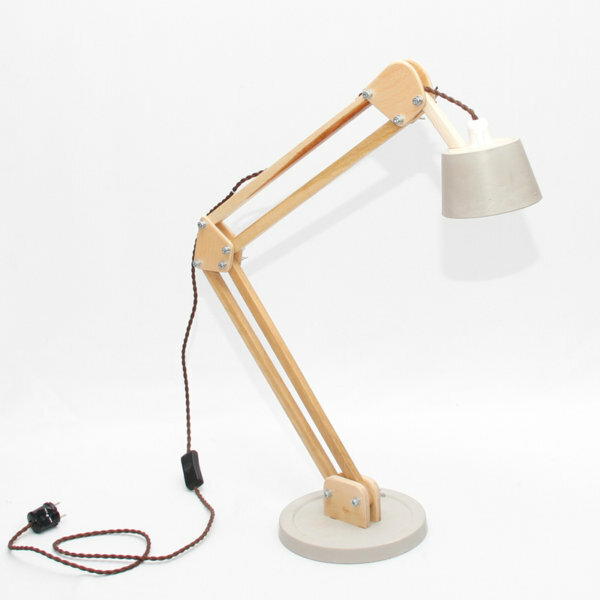 Hand made wooden design desk lamp DL025 with fabric cord.